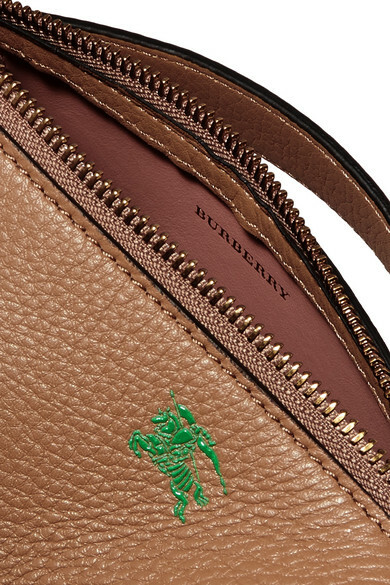 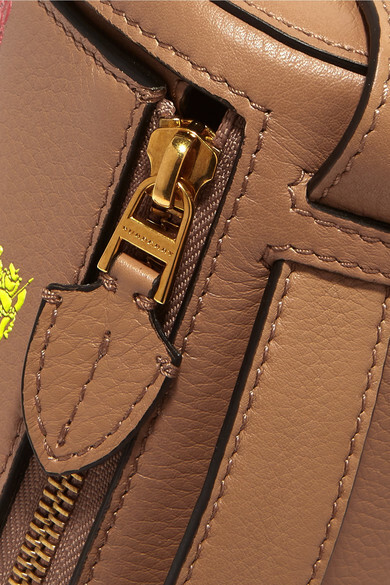 Not only does Burberry's bag look so cool worn across your chest, it's also designed with an expandable top handle. 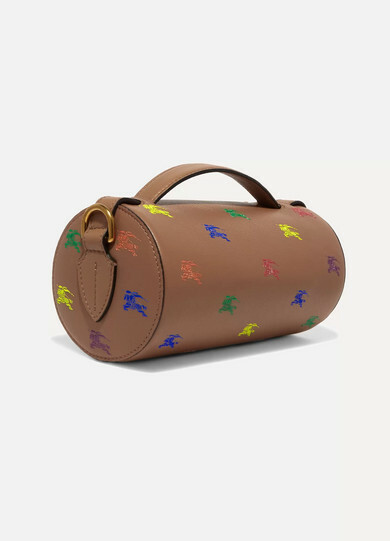 Made in Italy from light-camel textured-leather, it's printed with the house's signature equestrian knights in bright rainbow hues. 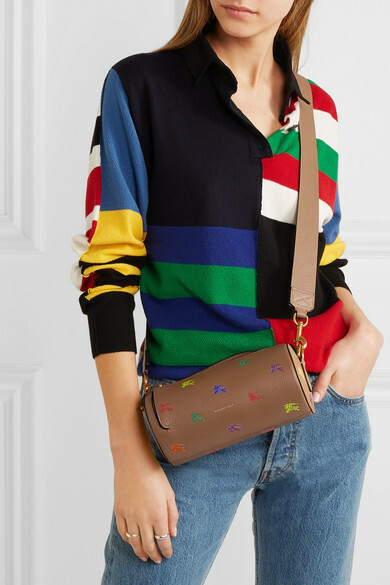 The barrel shape means there's not quite enough room for a bulky wallet inside, so we suggest adding the matching cardholder to your shopping bag, too. 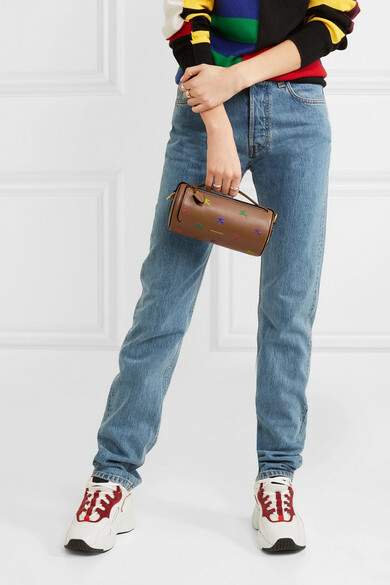 Shown here with: JW Anderson Shirt, Helmut Lang Jeans, Acne Studios Sneakers, Sophie Buhai Ring.